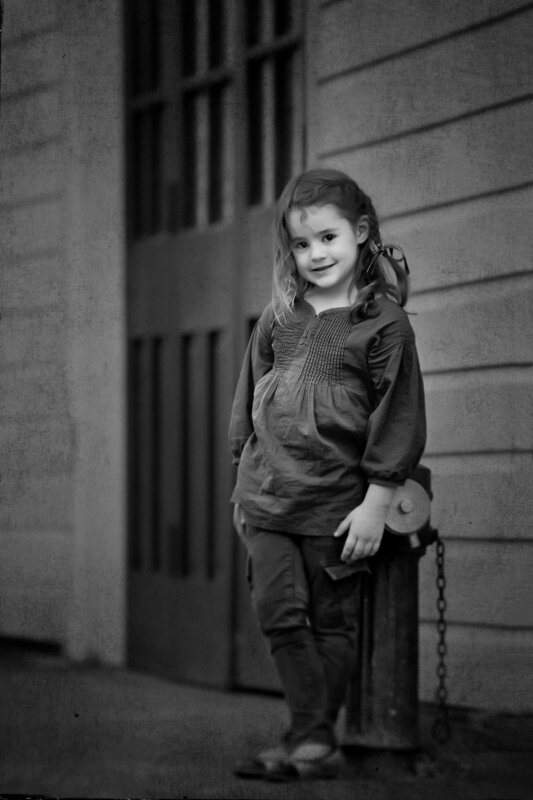 This simple pose was created by asking the young girl to lean against an old fire hydrant in front of a fire station museum. By leaning her body and crossing the legs, shifts her balance and drops her shoulder which creates a more casual and interesting pose. Note her body is turned away from the camera and her head turned back to the camera. Also by tilting her head adds more interest. I like to select simple backgrounds, in this case I have darkened the background down to allow her face to stand out.The angle of view is low and I chose to shoot across the building instead of into it, this creates more depth and better perspective to the composition.